Perhaps, then, it was inevitable that assassination, once carried out by stable governments only through black ops, would eventually become an official and publicly acknowledged policy. What began as an amalgamated law enforcement–military effort to track down and bring to justice the perpetrators of the terrorist attacks of 11 September 2001 led to the generation of ever-lengthier lists of targets, including unnamed persons whose activities on the ground were said to match behavior patterns regarded as ‘typical’ of terrorists. There are obviously exceptions to every tendency, and the observation of shadowy figures on a computer monitor does not and cannot reveal the beliefs and intentions of the persons ‘employed on’ by drone operators. As a graphic illustration of lethal centrism reflected in the outlook and comportment of troops, consider the widely disseminated YouTube video of a massacre in the suburb of New Baghdad, Iraq, on 12 July 2007. On that day, several civilians were ‘neutralized’, including Reuters employees carrying cameras misidentified as AK47s and RPGs (rocket propelled grenades) by trigger-ready shooters hovering ominously above in a helicopter, and ready and willing to fire the moment they could claim that the person was armed. The videotape made of the mission from the Apache helicopter was furnished to WikiLeaks by Private Manning and published online under the provocative title ‘Collateral Murder’. The stomach-wrenching footage of the ‘Collateral Murder’ incident shows a wounded journalist attempting to drag himself away from the scene after the initial spray of artillery. One of the shooters cheers him on: ‘Come on, buddy. All you gotta do is pick up a weapon.’ The speaker is anxiously awaiting the moment when the already-wounded and obviously incapacitated man will reach for anything interpretable as a weapon, thereby granting the shooter the right to finish him off and be able to claim that he killed in accordance with military protocol. When a van drives up to save one of the injured survivors of the initial salvo, it, too, is blown away. The two children inside the vehicle are deemed collateral damage, and their presence is blamed upon the allegedly evil terrorists (in reality, camera-toting journalists) who made the mistake, the soldiers assure one another, of bringing children into a firefight. The audio of the soldiers who carried out the series of killings documented in ‘Collateral Murder’ reveals what must be their own interpretations of what they have done, if they are to sleep at night. Upon insistence by Reuters, two of whose employees were shown executed in the film, the US military investigated the incident but concluded that the soldiers had acted in accordance with standard operating procedure and correctly followed their ROE. What the short film unforgettably displays is that even regular soldiers who risk nothing, no personal harm whatsoever, shooting as they are from a distance, may literally seek out opportunities to kill. This tendency has obviously been enhanced in the drone age by the enlistment of young adults to train essentially as assassins, whose primary vocation is to hunt down and destroy suspects from thousands of miles away. What do you do for a living? The answer of a UCAV operator is clear: I kill people. There is no other way of glossing the reality. Bureaucratic euphemisms aside, weaponized drone operators are professional killers. The measure of their vocational competence becomes the number of successful hits which they carry out or facilitate. Accordingly, they are galvanized to seize opportunities to kill in order to advance professionally. Just as writers ‘score’ book deals, killers ‘score’ hits. Drone operator Matthew Martin, who was promoted for his service in Afghanistan and Iraq, devised ways by which to shorten the ‘kill chain’, with more authority accorded to the operators themselves to ‘engage targets’ and ‘do kinetic’ as opportunities arise. Scenarios such as ‘Collateral Murder’ reveal that some regular soldiers have reached the point where they literally seek out targets to kill. Upon completion of their enlistment term, recent veterans were prime candidates to accept civilian positions working for PMCs, not only because they would command generous salaries relative to what they earned as uniformed soldiers, but also because they did not have to demonstrate to anyone that they observed, even nominally, proper protocol (ROE) before discharging their weapons. As civilians operating in a foreign land, they were permitted to kill in self-defense and granted maximum discretion in interpreting what that meant. Paul Bremer’s Coalition Provisional Authority Order 17 explicitly provided civilian contractees with legal immunity in their use of lethal force, what author Tony Geraghty describes as a ‘licence to kill’.194 The trigger-ready tendencies of regular soldiers and Special Forces in chaotic urban warfare settings certainly cannot be said to have been tempered by their collaboration with private military contractees operating in what in Iraq was literally a law-free zone. 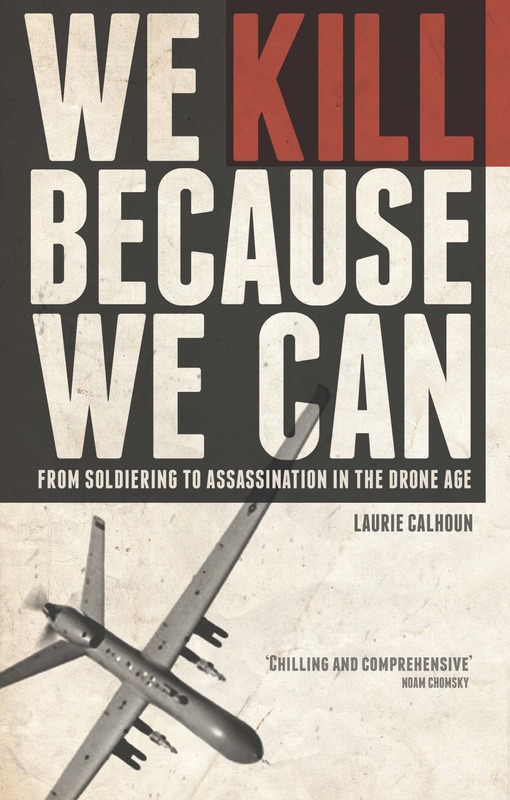 ‘Collateral Murder’ also provides a broader illustration of why administrators who have already participated in targeted killing must, for their own state of equanimity, convince others that the practice is sound. Just as the killers of the Reuters employees in New Baghdad consoled themselves that the ‘evil terrorists’ were to blame for bringing children into a firefight, bureaucrats will argue vigorously and enthusiastically for the continuation of a program through which they themselves have already authorized homicide. When the incumbent Predator drone program administrators persuaded newly elected President Barack Obama to embrace the practice, they succeeded in perpetuating and even expanding the program. At the same time, they confirmed in all of the killers’ minds that what they had already done was, in fact, legally and morally sound. Personnel who strongly demur from the prevailing ‘conventional wisdom’ handed down by their superiors cannot rise in the ranks, and some eventually renounce their positions, leaving only enthusiasts behind. Why was Wikileaks founder Julian Assange arrested and removed from the Ecuador embassy? Watch Collateral Murder, a video published by Wikileaks and which documents US war crimes.